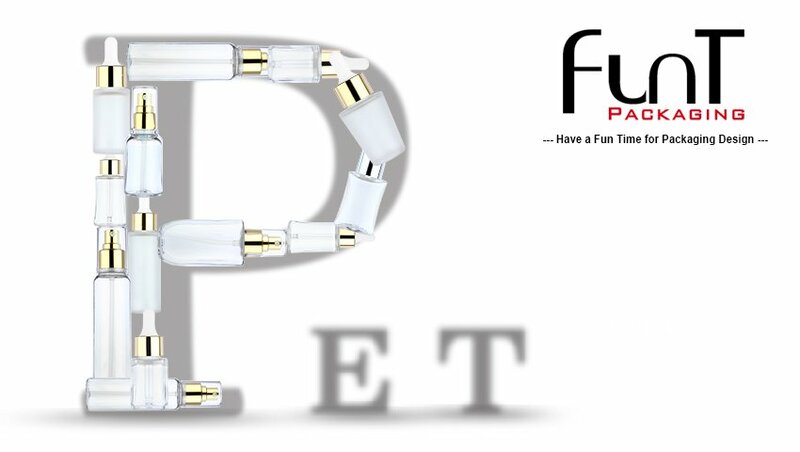 Eco-friendly PET Material for New Choice of Cosmetic Packaging - Funt Packaging Co., Ltd. There is a trend that you could not over look is recycled material for the packaging.As you may know, some big brand is intending to choose eco-friendly material made packaging to their products.Because they have responsibility for society and lead the trend to emphasis on the importance to protect our environmental. Green plant & Blue Sea all need us to stand up. Compared to many other plastics, PET has a significantly better eco-balance. The recyclability of PET means that packaging waste is reduced and the volume of waste incineration decreases. The raw materials consumption in production is lower than with many other plastics. Recycling PET leads to a 60% energy savings – compared to the energy requirements for producing new plastics. Furthermore, PET material has excellent chemical and physical resistant. Also, it could do heavy wall bottle which looks like glass but not easy to break. Suitable for easy traveling.